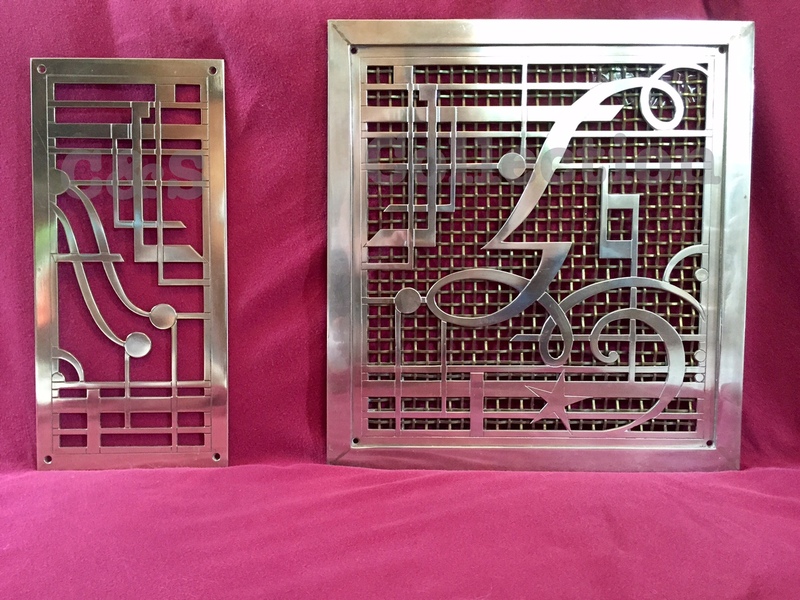 These vent covers come from the Verandah Grill on board RMS Queen Mary. They are simply amazing. Such a small feature of the room, but the wonderful art deco design and style makes them art pieces in their own right. If you look closer you can see the large vent cover is even two toned. 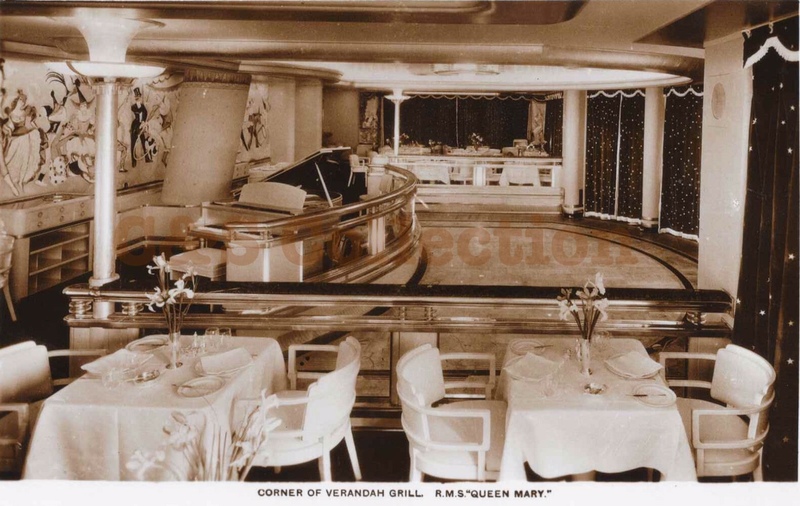 The Verandah Grill was the most exclusive and popular room at sea. Cunard wanted to create an intimate a la carte restaurant and night club on board. This room was to be worthy of the most important passengers traveling on her and the room’s design took a big departure from the rest of Queen Mary’s first class rooms in bold black, white and maroon. It was very modern for its time and even had a very sophisticated lighting system on board that would automatically change colors and keep rhythm with the music. 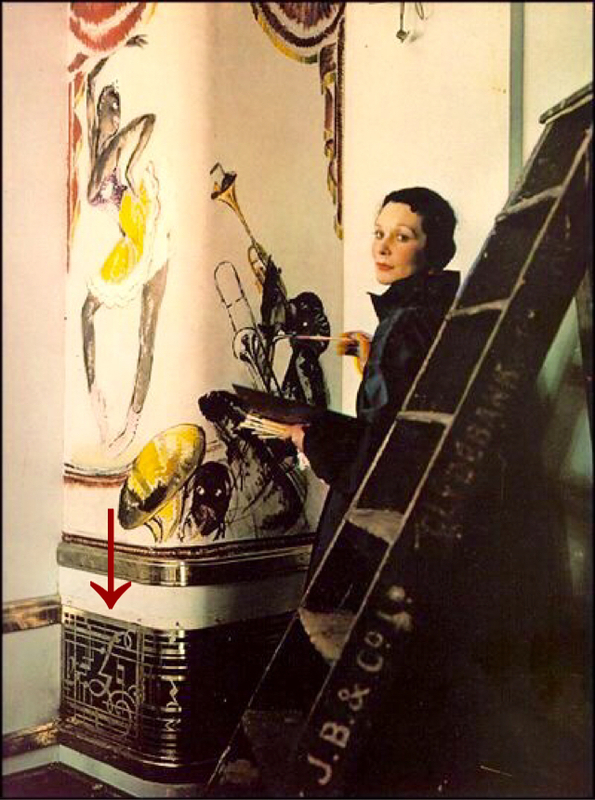 Cunard hired Doris Zinkeisen to design the art work and decor of the room and her theme of theatrical, pantomime and the circus was the perfect design for a swanky 1930s night club at sea. It’s often said the Verandah Grill was booked months in advance she was so popular. 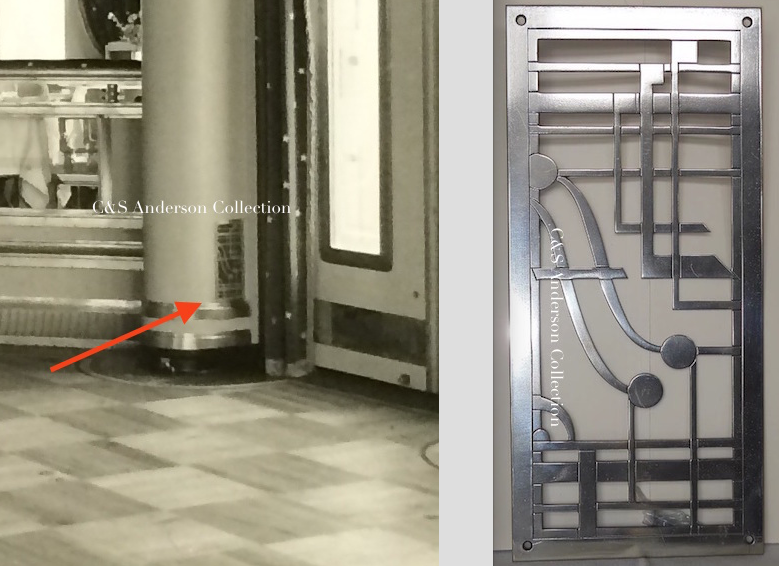 Below are a couple of photos of the vent covers (or ones similar) on board. I always enjoy the small touches and connections done in her design. The star in the vent below ties in with the velvet drapes used in the room. As far as I can tell there were only a couple of this smaller style vents in the room, as you entered from Sun Deck they were on the pillars near the doorway as seen here. If you are looking to sell any fittings, furniture, or memorabilia from the Queen Mary please contact me at craigslink2now@gmail.com. Craig Anderson passed away in a work accident Nov 2015. I loved him with all my heart and I plan to continue working on this blog and his collection in his memory. 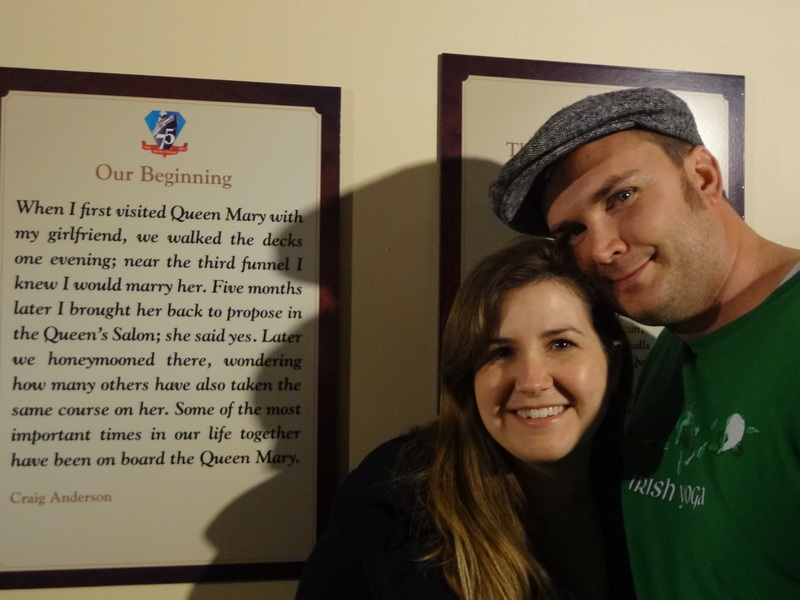 The Queen Mary has special place in my heart, I proposed to my wife on board her and since then we've shared many important moments on board. Since we live far away from her we have found that collecting, restoring and sharing her furniture and fittings is our way of keeping her history alive and furthering her connection to anyone who loves and appreciates ocean liners, passenger ships and the Golden Age of Travel. I am always on the lookout for anything from her, especially fittings and furniture. If you are looking to sell furniture, fittings or memorabilia from the Queen Mary please contact me at craigslink2now@gmail.com. Serious inquiries only please. Thanks!